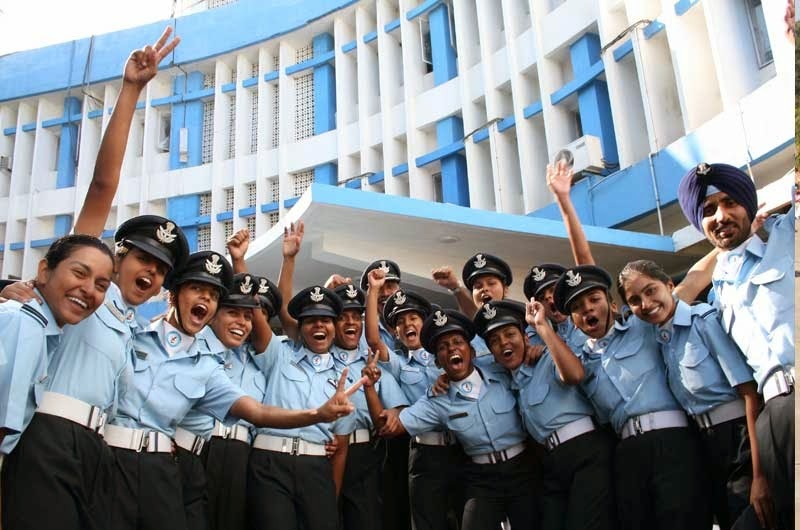 Want to become commissioned officer in Indian Air Force technical branch? IAF has released notification for University Entry Scheme UES - 2014. Read on to know more on eligibility criteria, educational qualification and procedure of applying. Indian Air Force conducts an entrance exam named Air Force Common Admission Test i.e., AFCAT twice in a year. In order to become commissioned officer in IAF, one needs to qualify AFCAT exam first and then SSB interview. Indian Air Force officially released notification for AFCAT 1 / 2013 exam. For male undergraduate engineering students, IAF is offering University Entry Scheme UES - 2004. Here are the details of educational qualification and other eligibility criteria to apply for the officer post in IAF technical branch. Candidates must be of 18 to 28 years of age as on 01 July 2014. That is applicants should be born between 02 July 1986 to 01 July 1996. There are two technical branches available in IAF to apply for. One is Aeronautical Engineer (Electronics) i.e., AE(L) and second one is Aeronautical Engineer (Mechanical) or AE(M). As per the stream of your engineering you will be eligible to apply for either AE(L) or AE(M) branch. In order to apply for the above branches, candidate must be studying in pre-final year of engineering degree. College or university from which candidate is doing engineering must be a recognized university. Engineering course should be of four year engineering course. Online applications for AFCAT 01 / 2013 will be accepted by IAF from 11 December 2012 to 08 January 2013. Alternative AFCAT 01 / 2013 courses to check out If you have completed engineering, check out the eligibility criteria of 84 AEC and 56 SSC technical branch courses of IAF. If you are not an engineering student or graduate, then check out eligibility criteria of 13 SSC of IAF flying branch to become a pilot. Update : Know how to apply online for AFCAT entrance exam.